After a travel day on Tuesday, and the night off, the LIU Brooklyn Blackbirds got back to work today with a stats breakdown and game films of Friday's opponent, the Michigan State Spartans, followed by their first practice in Ohio, hosted by Columbus' Capital University. 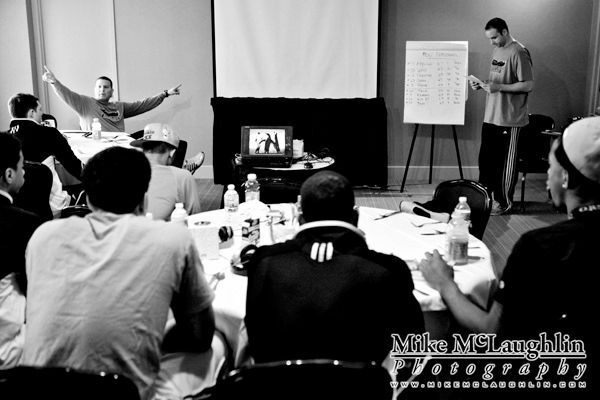 Associate Head Coach Jack Perri breaks down the Michigan State defense before watching game films with the team. 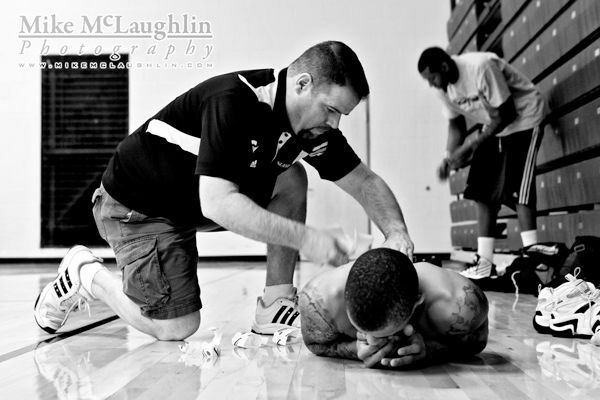 Head Athletic Trainer Danny O'Connor tapes up junior Kenny Onyechi before game films and practice. 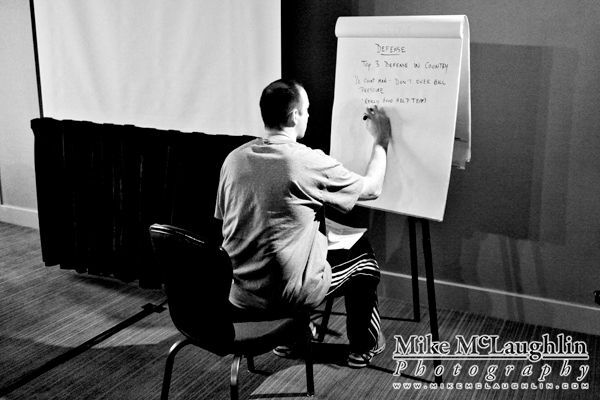 Head Coach Jim Ferry, left, and Associate Head Coach Jack Perri, right, go over Michigan State's strengths and weaknesses with the team before practice. 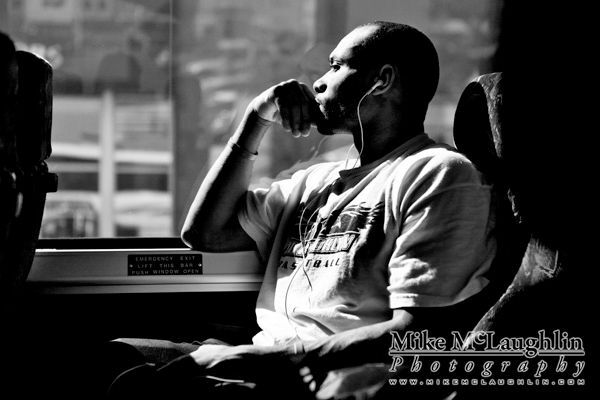 Junior Kurt Joseph looks out the bus window on the way to practice at Capital University two days before the big game. 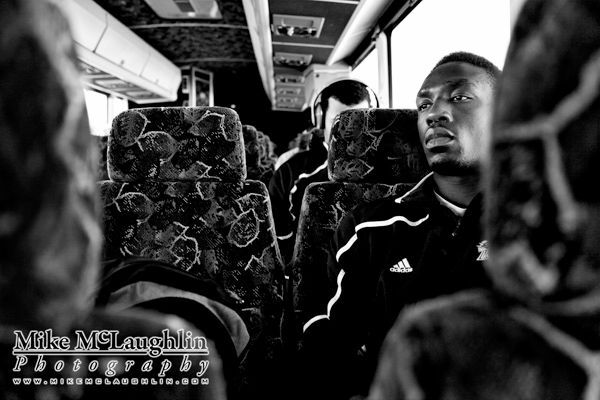 Sophomore Robinson Odoch Opong on the bus ride to Capital University for practice two days before the big game. 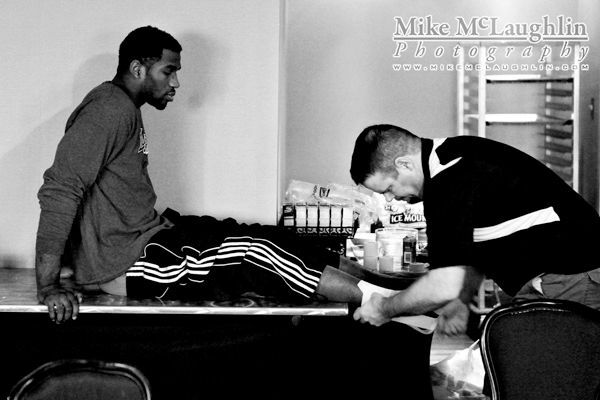 Head Athletic Trainer Danny O'Connor works on junior C.J. Garner's back before practice at Capital University. Associate Head Coach Jack Perri works on plays before practice at Capital University. Team practice at Capital University. Walking to dinner at Mitchell's Steakhouse on 3rd Street in Columbus. Team dinner at Mitchell's Steakhouse. After dinner, junior Jamal Olasewere, left, and senior Mike Culpo are interviewed on the phone by The New York Post.